We didn't know it yet, but two days from now, four years ago we were about to be temporarily moving in with my parents while we navigated the death, birth and funeral of our baby daughter. Tomorrow, we're temporarily moving in with my parents again. The timing feels significant somehow. Somehow some sort of circle. This time, we're moving in while we renovate what will be our new family home. We're moving. It has been a long time coming, and much needed move for the space factor, not to mention moving back to our home town. We're of course thrilled, but tonight, our last night sleeping here, the last night putting my babies to bed in their first home too, I'm feeling overwhelmingly sad too. This is the house where we moved in together, we got engaged here - actually here in this living room, Belle died in this living room while I slept on this sofa overnight, we've had our babies here and bought our rainbows home to here. All those milestones, memories, moments. Our lives have immeasurably changed in the seven years we have lived here. And now, although we will still own it, this little house will become somebody else's home. A tenant is moving in in a few weeks and it is time for us to go and get the house ready for them. The new house we have bought will not be ready for some months. We were somewhat naive when we assessed the level of work that needed doing to it. We knew it was unkempt and dirty, we accounted for a fortnight of deep cleaning, decorating, and changing some floors; but, with a Vendor that made no effort to take their rubbish and many belongings with them, it has turned into more or less a full renovation as more grime and damage was discovered. So here we are; the night before the move to Mum and Dad's. The new house will be perfect. I'm excited about transforming it into our home, even if the task at hand seems never-ending and overwhelming just now. It will be just how I want it, and feels totally meant to be. Despite the dirt on viewing, and clearly not kept anywhere near to my standards, both of us were able to look beyond it. It had potential, it was a good size house on a great size plot, it is in a fabulous area with good schools for the boys. It just felt right. Then we realised it was number 21 on the street. Anabelle's number. This just confirmed to us that this was meant to be our house. We're moving to number 21, and it feels like our little girl is moving with the family; her number and her part in our new home. Perfect. So, next weekend, on her birthday it will be named in her honour. 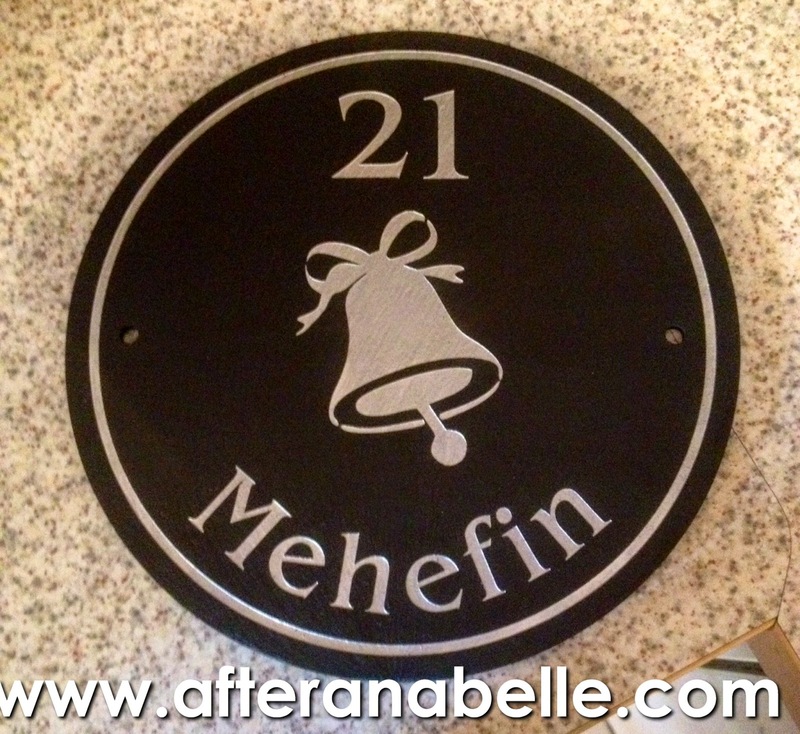 We're moving to number 21, and our home will be called "Mehefin" - welsh for June. Here We Go Then. June.